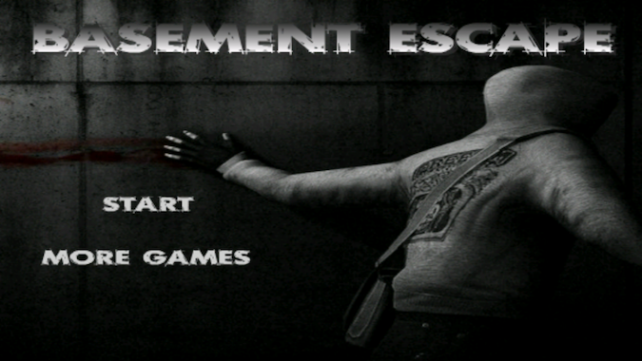 Basement Escape (Free) by Corinne Muzzolini is a room escape game where you are, obviously, trapped in a basement. This basement has about three different layers to it. 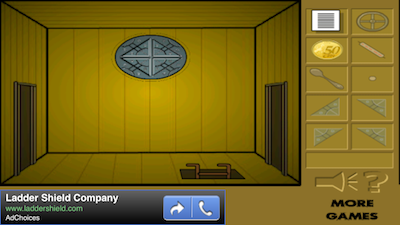 There are rooms that branch off of the main hallway as you move up and down, and each room has a different puzzle for you to solve. When you solve a puzzle, it will give you one of four tiles that fit in a large shield above the exit. 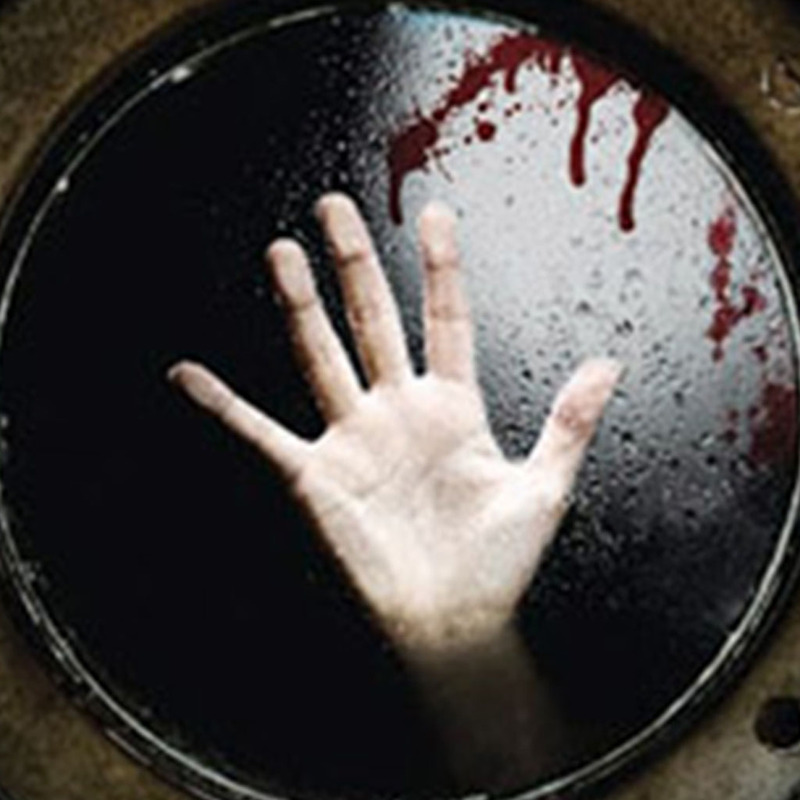 Room escape games tend to come in three different levels: beginner, intermediate, and expert. I don’t even review the expert level ones because they’re way over my head. What determines the level is how easy the puzzles are, how simply the items in your inventory work, and if there are hints available. This is an intermediate game. The puzzles in this game are a mix of easy and “you can’t be serious.” It takes some ingenuity, but eventually, you can work your way through all of the puzzles. The items in the inventory don’t need to be combined together to make anything new. However, only some items are used and others are merely looked at. There aren’t any hints available. You’re completely on your own. The only helpful hint that I can give you is that every single item in those rooms are either part of a puzzle or hold a tile. Nothing is just there for decoration. The puzzles are interesting and engaging, but the storyline is lacking. There’s a diary piece that you find, but it doesn’t really make sense or follow along with the gameplay. The icon for the game makes it look much scarier than it really is. The app looks like you found your way to your grandparents basement and got lost down there. 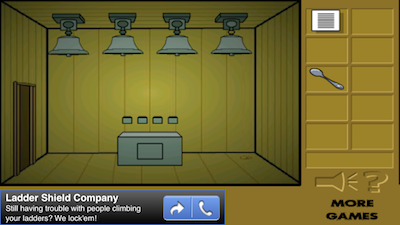 There are ads that pop up in the beginning of the game, and there are banner ads that run along the bottom. 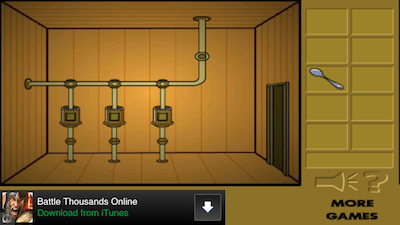 The ads aren’t intrusive during game play. There also aren’t any in-app purchases available. The puzzles were fun and interesting, but there wasn’t much of a storyline. If you feel like you’re ready for a room escape game that has some interesting puzzles and no hints, then this is a great game to try. Consider it practice for some of those tougher games. Basement Escape is a universal app, and it’s available in the App Store for FREE!